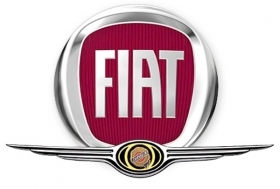 TURIN, ITALY -- Fiat S.p.A. and Chrysler LLC confirmed Tuesday that the Italian company intends to acquire an initial 35 percent stake in the U.S. carmaker. The deal will give Fiat the scale it needs to survive, while Chrysler can expand its product portfolio to include small, less-polluting cars. Chrysler said on Tuesday the deal, which involves no cash investment, formed a key component of plans to secure its future, and would grant it access to Fiat's more fuel-efficient vehicle platforms, engines and transmissions. According to press reports, Fiat will have an option to boost its stake to 55 percent at a later date. Fiat vice-chairman John Elkann told reporters on Tuesday that the Italian group could increase its Chrysler stake from 35 percent. "We can raise that," Elkann said. "It's a good deal ... we have already said that it's important to have consolidation in the auto sector," he added. In a joint statement, Fiat, Chrysler and Chrysler's majority shareholder Cerberus Capital Management L.P, said they have signed "a non-binding term sheet to establish a global strategic alliance." The pact "would provide Chrysler with access to competitive, fuel-efficient vehicle platforms, powertrains, and components to be produced at Chrysler manufacturing sites," the companies said. Under the terms of the deal, Fiat would make available its distribution network in key growth markets. "Substantial cost savings opportunities" would be available to the alliance, the companies said.  Key car brands are Fiat, Lancia and Alfa Romeo.  Also owns luxury sports car makers Ferrari and Maserati.  Has a market capitalization of about $7.5 billion.  Trading profit for the entire group including Iveco trucks and CNH tractors was 802 million euros ($1.04 billion) in the third quarter on sales of 14.3 billion euros, up from 13.9 billion a year earlier.  Main markets are Europe and Brazil. Nearly all of the profit for Fiat Auto comes from Brazil.  Founded in 1899 and steered from 1902 by Giovanni Agnelli whose grandson Gianni, chairman from 1966, was a legend of Italy's corporate scene, known as much for his society lifestyle as his business acumen.  Has struck a series of alliances with other manufacturers, including India's Tata and China's Chery.  In 2000, in the midst of a debt crisis, Fiat struck a deal with General Motors in which the U.S. car maker took a stake. The agreement was dissolved in 2005.  Current CEO Sergio Marchionne took over in 2004 and put in place a plan to turn the car maker around which was successful, but the company has suffered like others in the current global crisis.  Best-known models include Dodge, Plymouth and Jeep.  Bought by Germany's Daimler in 1998 in a $36 billion deal.  Daimler sold 80.1 percent of Chrysler in 2007 to Cerberus Capital Management LP for $7.4 billion.  Daimler retains a 19.9 percent stake which it said on Tuesday it still wanted to sell. It has been in talks with Cerberus about the stake.  In October, Chrysler held merger talks with GM.  Chrysler has taken $4 billion from the U.S. government as a loan to help it cope with the current global crisis and has also received $1.5 billion for its finance arm. The carmakers said a tie-up would allow them to take advantage of each other's other's distribution networks. They also said there would be opportunities" to optimize fully their respective manufacturing footprint and global supplier base." The companies said Fiat would take "an initial 35 percent equity interest" in Chrysler, but it would not make a cash investment or commit funding to Chrysler. Fiat Group CEO Sergio Marchionne said the alliance "confirms Fiat and Chrysler commitment and determination to continue to play a significant role" in the global auto industry. Chrysler CEO Bob Nardelli says the alliance "creates the potential for a powerful, new global competitor." He added that it offered Chrysler "a number of strategic benefits, including access to products that complement our current portfolio; a distribution network outside North America; and cost savings in design, engineering, manufacturing, purchasing and sales and marketing." Nardelli also said the partnership would "provide a return on investment for the American taxpayer by securing the long-term viability of Chrysler brands in the marketplace, sustaining future product and technology development for our country and building renewed consumer confidence, while preserving American jobs." Ron Gettelfinger, president of the United Auto Workers union, said: "This is great news for the UAW Chrysler team and we look forward to supporting and working with them to ensure Chrysler's long-term viability." A Daimler spokesman declined Tuesday to comment on prospects for a combination of Fiat and Chrysler other than to say: "We welcome any initiative that serves to stabilize the situation at Chrysler and preserve jobs at the company." Daimler is seeking to sell its 19.9 percent stake in Chrysler.